Connor is odd until you get to know him, at which point you realize he is still odd, but for a different reason. Washington grown, he is familiar with water and how wet it is. 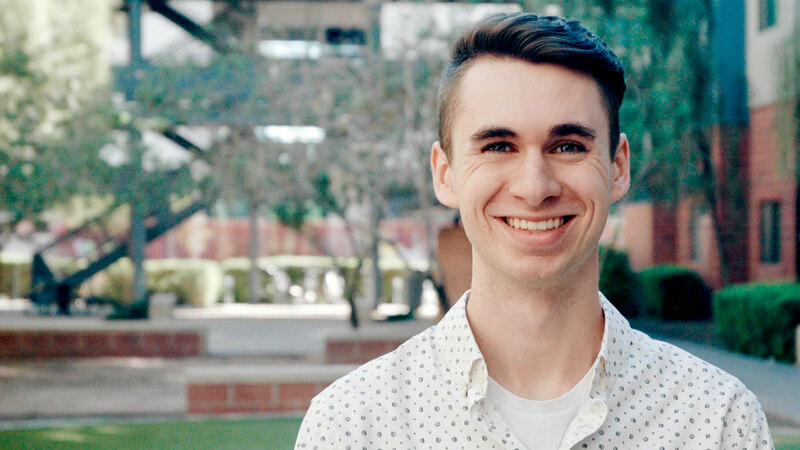 Connor is residing in Phoenix, Arizona, as he pursues a Bachelor of Science in Computer Programming. Connor realized his passion for programming and not manual through his job as a busser. Connor started as an intern at Efinitytech in May 2018. He is constantly learning and improving his programming skills and has developed features for VSM Tools, created site-content, and worked with clients, building web applications from the ground up. Connor prefers writing server code, a preference reminiscent of his days playing defense in soccer; like a defender, the server is underappreciated for working and over-criticized for failing. When he is not adding flex-box to a stack of nested div tags, Connor enjoys making music, running trails, and being Nolan Picini’s cousin. Connor has never written a cookbook and is too skinny for the military. He also dislikes coffee, which is unfortunate: Connor is very tired.